This time, Charlie Pierce isn’t looking for an adventure when he agrees to help out his friend, Ed Hamilton. Hamilton’s job is to walk the U.S. mail from Palm Beach to Miami and back, following a dangerous route over land and water. When Hamilton goes missing, it’s up to Charlie and his sister Lillie to find out what happened to the missing Barefoot Mailman. 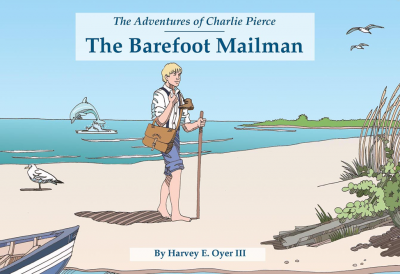 The Barefoot Mailman, the fourth book in the series The Adventures of Charlie Pierce by Harvey E. Oyer III, was the gold medal winner in the category of Fiction/Non-Fiction: Juvenile in Florida Authors and Publishers competition for 2015.